I started with the Padfone A66, Padfone Infinity A80 (sample from Asus, not on the photo) and had 3 new Padfone Infinity A86's which all 3 gave up on me. After almost 5 years, it appears that the Padfone series is not being continued anymore. I've been a supporter and user of this series, but apparently it's time to move on. Is Asus working on the Padfone S2? Thanks to user Madthing for waking me up, as the owner and pretty much the only member of the team of this website left, I'm not very active anymore. I still have my Padfones, and use them everyday. So if anyone likes to help me keep the forums spam free, and update the site every once and a while, I'm open for it. Bear in mind that this information is based on unverified leaks. The Padfone S2 should be equipped with a Qualcomm Snapdragon 820, the latest and greatest CPU from Qualcomm. 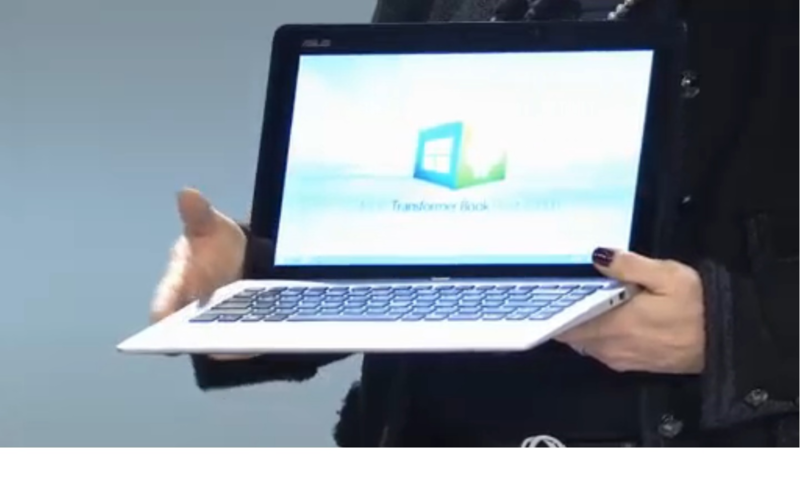 It will have 4GB of RAM and 32GB/64GB storage space. The rear camera of the phone will be a 20.7MP camera, and the front camera will be perfect for 8MP selfies. The Padfone S2 should be available in March of 2016, so that's still a long time to go. You can discuss about this device in the Padfone S forums. Asus first released KitKat for their second generation Padfone (the Padfone 2, A66) several months ago. 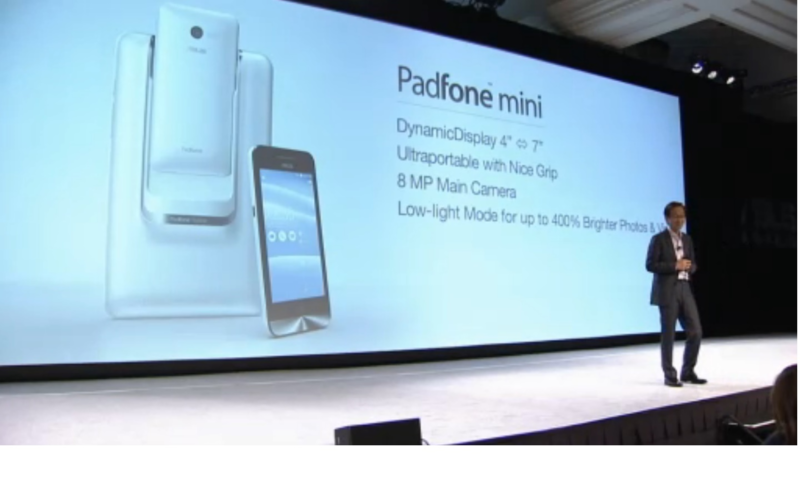 After that they rolled out KitKat for their third Padfone (the Padfone Infinity, A80). 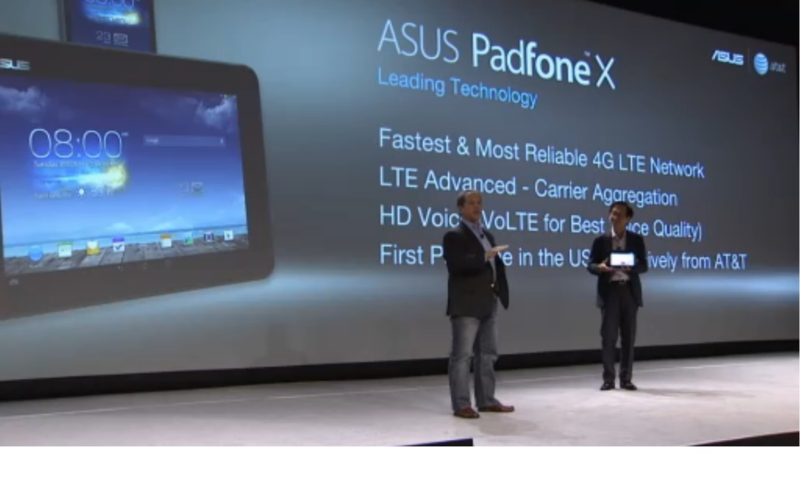 And now they finally released it for one of their strongest devices, the New Padfone Infinity, A86. The update is currently only available for Padfones with the TW or CHT SKU's. We don't know when other SKU's will follow. The new KitKat upgrade brings the new ZenUI to the device. It's a pretty big turn around, but it seems like a nice addition to the default Android skin, it still nicely maintains Asus's "clean interface status". The update is not available via OTA, it is only available for download via the official Asus website here. We would also like to invite you to discuss about this update in this thread on our forums. Padfone Club is experiencing more spam attacks on the forums the past couple weeks. We're currently working on a solution to get rid of the spam. Please keep reporting spam bots, we'll remove them as quick as possible, and make sure the IP address (ranges) are added to our system to make sure they won't return. A couple of months ago Asus announced that their Padfone 2 (A68), Padfone Infinity (A80) and New Padfone Infinity (A86) would get updates to Android 4.4 (KitKat). A couple of weeks ago the Padfone 2 got it's update to KitKat version of Android. Now it's time for the Padfone Infinity (A80). Where the Padfone 2 got an update for all it's SKU's, the Padfone Infinity is currently only limited to Taiwanese SKU's (TW and CHT). The updates can be found on the official Asus website. And as usual we like to invite you to discuss this update in our still growing community. Asus New Padfone Infinity (A86) users still have to wait for their update to KitKat, but as soon as we know anything we'll be on top of it. When Padfone Club first started it was only based on "The Padfone". But who knew that this device would grow out in such a big serie, with a Padfone to choose from for everyone? Padfone, Padfone 2, Padfone Infinity, New Padfone Infinity, Padfone Mini, Padfone X... And now the Padfone S.
The Padfone S is the non-US version of the PadFone X, which is available in the US since June. Unlike the Padfone X the PadFone S comes with a newer Qualcom Snapdragon 801 processor, offers a splash-proof coating, and supports wireless charging. These seem to be the only differences between the two models. Thus, similarly to the PadFone X, the S is comprised of a 5-inch smartphone and a 9-inch tablet dock, both controlled by Android 4.4 KitKat. 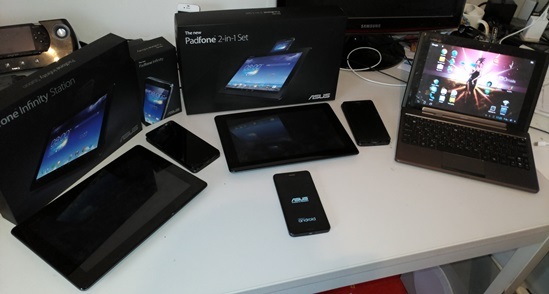 Asus will sell the PadFone S (including the Station) for around $500 in Taiwan. Discuss the Asus Padfone S at our forums! Android KitKat available for the Padfone 2! Asus has promised to release the new Android 4.4 codename Kitkat in Q2 of 2014, and they kept this promise, they released the update just in time. The new version number for this new build is 11.8.3.3 and has been released for Japanese (JP), Russian (RU), Chinese (CN), Starhub Edition (STARHUB), Hong Kong (HK), Taiwan (CHT and TW) and also the World Wide (WW) versions of the Asus Padfone 2. Asus has been famous for their clean Android interfaced, however, the new firmware update also brings the new ZenUI to the device. Sadly, the Padfone Inifnity and Asus's flagship Tne new Padfone Infinity still don't have the upgrade. After their first transformer tablets/netbooks, Padfones, full-blown-ultrabook-hybrids, Asus is still able to surprising us with new innovations. So what do you guys think? Do you think it's going to be a success? Discuss it in the comments below. 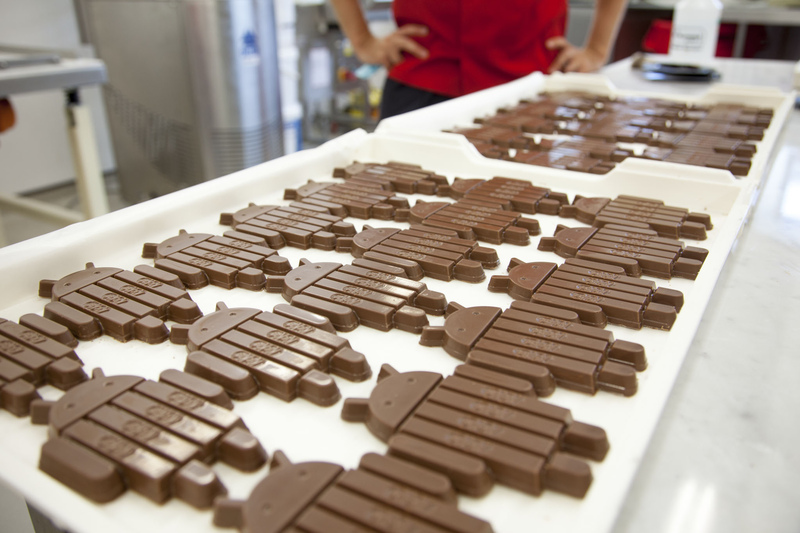 Confirmed: Android KitKat for several Padfone versions? 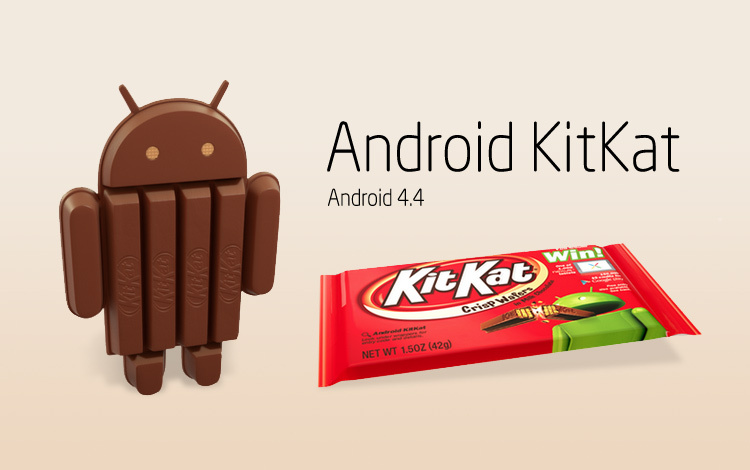 Asus has released a statement about the release of Android 4.4 (KitKat) to some of their Padfone's. According to this article on the official Asus website the Padfone 2, Padfone Infinity and new Padfone Infinity will receive the new update this year. It's not clear if the information shared is completely correct. Asus is known for providing incomplete information, so we still have to wait for more information before this can be confirmed for 100%. Update: We've asked Asus to confirm the story, and they did. A68 (Padfone 2), A80 (Padfone Infinity) and A86 (New \Padfone \Infinity) will get KitKat 4.4 with ZenUI (which was introduced on their ZenPhones). The update schedule is a rough guideline since many factors play a role in the final release of an update, but that's understandable of course. As for the question "Which SKU per device will receive the update?" they tell us that this information has not been released yet. At CES Vegas today, ASUS chariman Jonney Shih takes the stage announcing a brand new 4 in 1 windows/android tablet joint notebook, Zenfone series (yes, ZENFONE!) 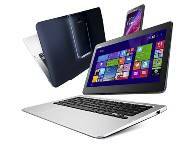 and the much anticipated Padfone Mini as well as Padfone X.
Asus Transformer Book Duet TD300. 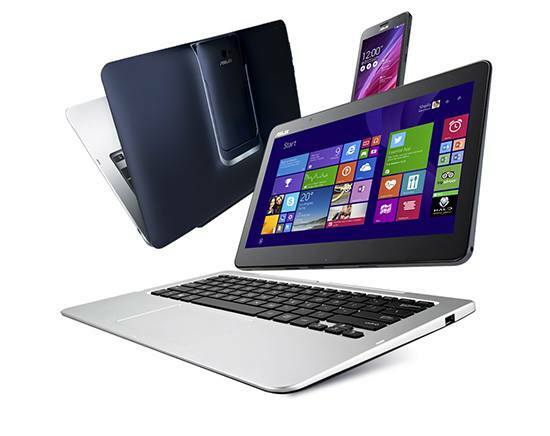 13.3" FULL HD IPS touch screen, 4GB DDRL 1600 RAM, up to 128GB SSD (tab) and up to 1TB (dock), 802.11ac, BT 4.0, USB 3.0 + 2.0 on dock, Sonic Master, Windows 8.1/Android 4.2.2. Padfone X will be on AT&T but no exact date was mentioned. Shih also elaborated the new ASUS ZenUI to be a much smarter and customisable UI overall with SIRI/S-Voice like personal concierge. The appearance of the UI is frameless and has customisable color themes. Embeded in the UI is the brand new Camera software with rewind feature, PanoSphere (similar to Google's Photosphere), PixelMaster and image stabiliser. Depending on the series, not all features are identical on every phones/tablets. Perhaps one intuitive move that ASUS took brilliantly this time is GloveTouch, allowing interation with the phone on gloves. 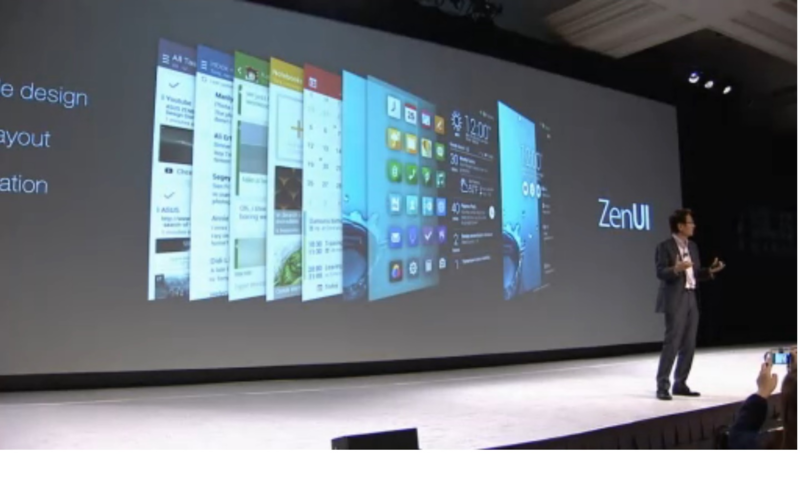 PenTouch on Zenfone 6 also allows any material to act as stylus to interact with the screen. Other announcement includes the new WQXG ROG monitor.